Grocery delivery company Grofers has extended to the ultimate carrot to lure in customers. Grofers will now let customers get cash of up to Rs. 2000 when they order groceries online. The company has partnered with Yes Bank, and the cash delivery service, open to all bank account holders. has started on Tuesday across Mumbai, Gurgaon and Bangalore. Other cities will be added to the list gradually. Customers who wish to order cash withdrawal will have to buy grocery of minimum of Rs2,000 and pair it with a special code to get the money. “We cannot today eliminate the need of currency notes as people sometimes require them for other reasons. This is our attempt to help customers. 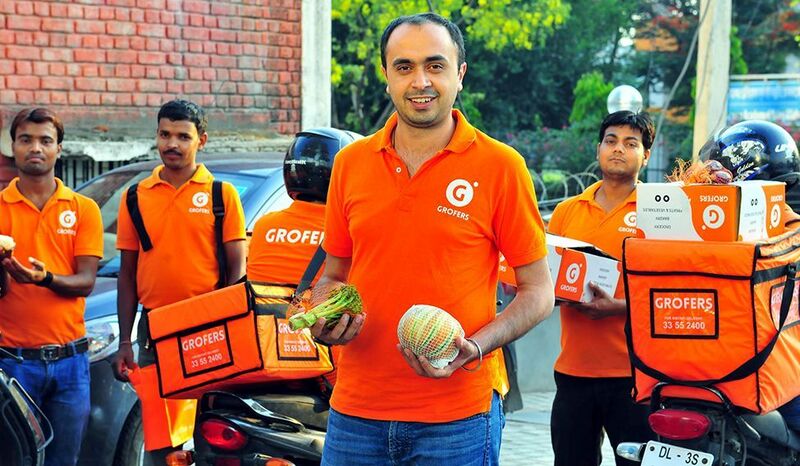 Grofers delivery executives will carry PoS machines (powered by Yes Bank) where customers can swipe and get cash within the comfort of their homes,” said Ashneer Grover, chief financial officer, Grofers. Startups have been aggressively using the government’s demonetization move as a plank to get more users. BookMyChotu, which offers paid help to customers, had created a sensation by sending people to stand in ATM queues for users. Cab aggregator Ola had run special taxis which dispensed cash in select cities. And it the technique seems to be working – nothing catches the attention of the Indian customer these days like some cold hard cash. And for Grofers, things have come a full circle. Earlier, it was attracting customers through cashbacks. Now it’s attracting them through pure cash.